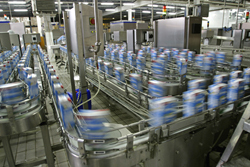 The manufacturing or processing of pharmaceuticals require substantial energy consumption, with many plants throughout Ireland now using a combination of energy supplier and types of energy it has never been more important to understand the metering and monitoring process. At Future in Pharmaceuticals Ireland 2019, our keynote speakers discuss openly their energy strategies within their particular pharmaceutical processing facilities. The event will analyse the challenges and benefits of a pharmaceutical processing facility adopting the ISO50001 International Energy Standard. good housekeeping measures can result in appreciable savings in energy. Future in Pharmaceuticals Ireland 2019 strives to highlight modern energy saving strategies, by allowing our speakers to provide us with an insight into cutting edge facilities and the energy programmes they have implemented. No other Irish event will provide delegates with a better understanding and example of the energy saving measures available within the Irish pharmaceutical processing sector. To find out more and request a delegate information pack click here.